We decided to lift this veil of mystery in London, the home of gin, and build a gin brand from scratch made the way gin used to be made. Sipsmith caught my attention right away. I met founder Sam Galsworthy last year while researching types of gins. One of my go-to cocktails, finding a classic balanced G&T can be a challenge. 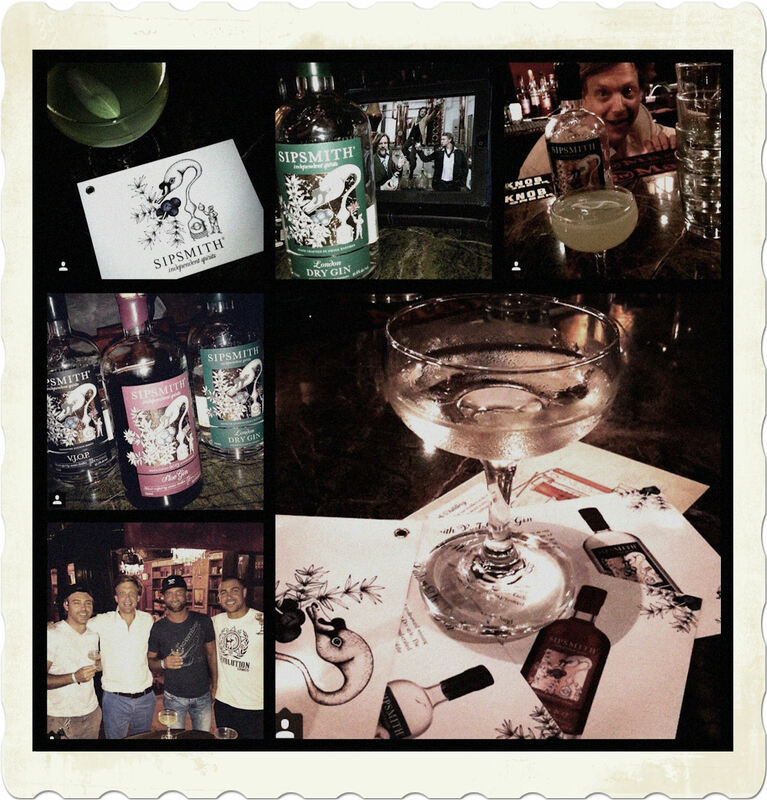 I spent an afternoon with the Stache, 1920’s Drinking Den team to get our gin on. 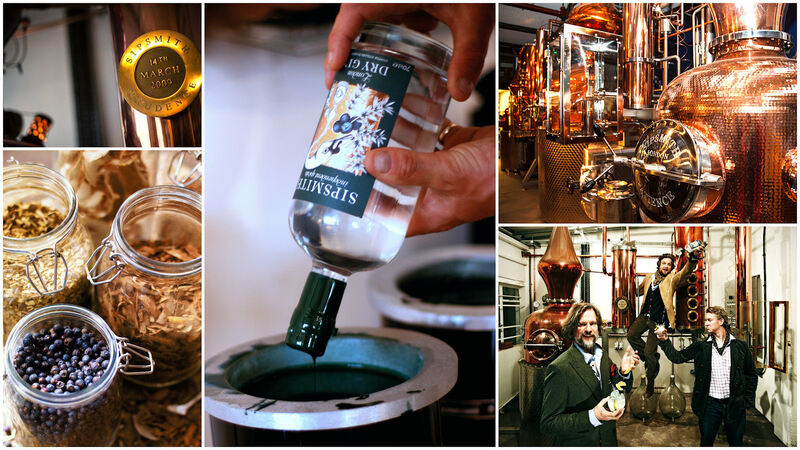 Over the next few hours, we talked about the gin process and how their copper pot-still Prudence came to life. 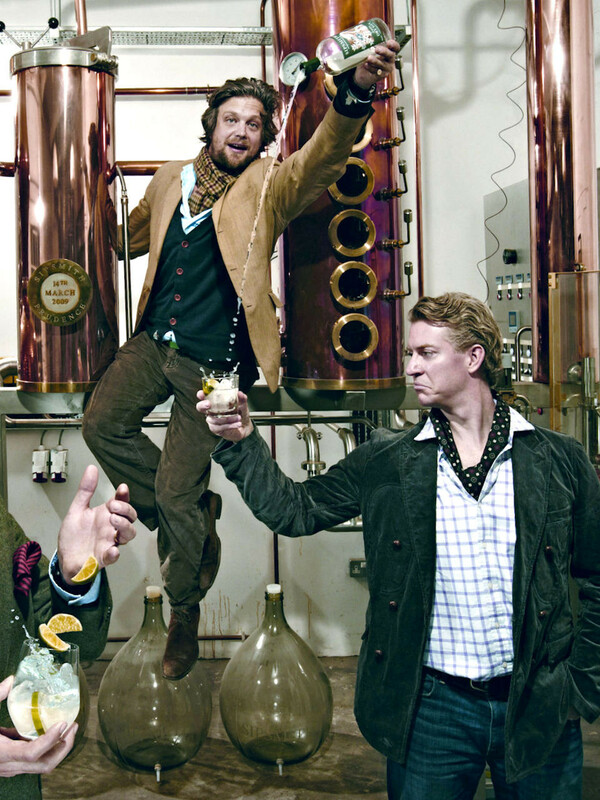 Check out how Sam and his team created this brilliantly crafted artisanal gin. How did you create your concept? Share a bit of background about how this spirit came into existence …The idea of Sipsmith came to be from seeing consumer hunger for authenticity and transparency in all things and there simply wasn’t a solution for this in London or the UK in gin where the big brand gins were all being produced in large industrial plants behind closed doors. We decided to lift this veil of mystery in London, the home of gin, and build a gin brand from scratch made the way gin used to be made and we believe should be made at the same time making available our facility and home for consumers to learn about the gin, its history and its many secrets. When we approached the UK government in 2006 to seek a license for such an enterprise we were swiftly told that this would not be possible – purely because no one alive had issued one since 1820 but also because you were not allowed a license for a gin distillery for anything under 2,000ltrs pot still and in 2007 Finance Act the law changed, further to some pressure applied (! ), and 2 years later we were granted the first license for a distillery in nearly 200 years. 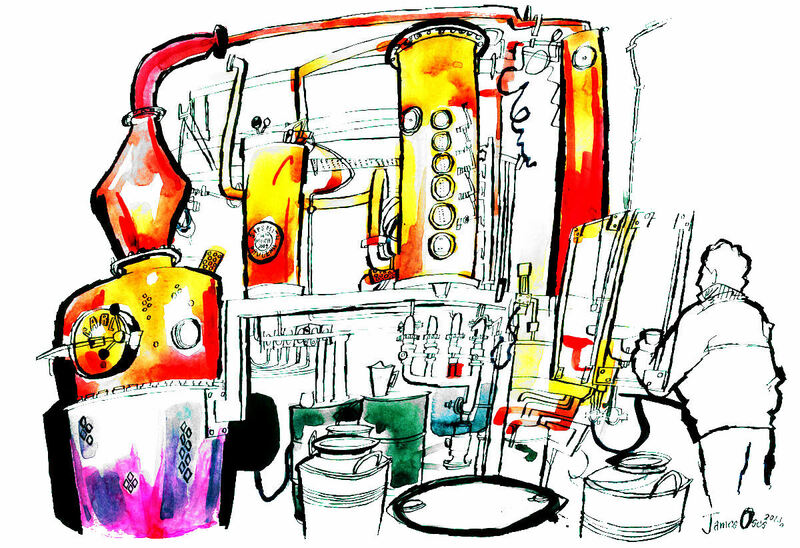 We turned on our first pot still – who is called Prudence – on 14th March 2007 and have been crafting our gin lovingly ever since. Share the story behind the name? The name itself is inspired from my business partners Father, who is a well known silver smith who takes precious metals and raises them into something more valuable than when there were in their original state – thus the name Smith. He encouraged us to think along these lines when naming our business and so we decided to prefix SIP in front o SMITH as we felt this was the smithery that best suited us. What sets this gin apart from others on the market? It is the way we make it that sets it apart. This is a true classic of a gin – made the way gin used to be made and the way gin should be made. Ours is a gin that is not made from concentrate IE adding neutral alcohol to the distillate after the run to stretch the flavours and make the yield go further – instead the gin we bottle is the finished gin from the still – no alcohol added afterwards – you therefore get extraordinary smoothness and character. While many gins use varying exotic botanicals our recipe would not have surprised a 19th C distiller and that was always the plan. What is your favorite cocktail memory? It was a gin martini in Duke’s Hotel, London in November 2010. This is one of the pinnacle accounts to secure in the world for a martini and their listing it was a huge deal for us and it happened to coincide with Sipsmith being nominated for best newcomer in UK from Observer Food Magazine – this was a gin martini I’ll never forget. What is your go-to/favorite cocktail? It has to be a gin martini, dry with a twist. What music complements your drinking style? I’m a jazz fiend so Cole Porter or John Coltrane work splendidly for me. What is your essential bar accessory? It has to be a mixing glass we developed from recycled Sipsmith bottles. We cut the top of the bottle neck off and reheat it to develop a lip in the glass that acts as spout. It looks amazing and is all about UPCYCLING which we love. What trend excites you most about today’s cocktailing scene? The reversion by so many to classicism – the classic, most simple cocktails for me are always what float my boat and they are nearly always the ones from the good old days of cocktail making! Sipsmith Gin is Known for … Being the first distillery in London for nearly 200 years, Kick-starting the gin revolution in the UK and being the smoothest Dry Gin around. Must have Garnish … Just a peel of amalfi lemon please.